LAS VEGAS – Facing the Pacific Ocean is a once-sleepy town usually covered with thick fog in the morning, and blessed with abundant rivers, streams and springs, mountains and caves and beaches to die for. 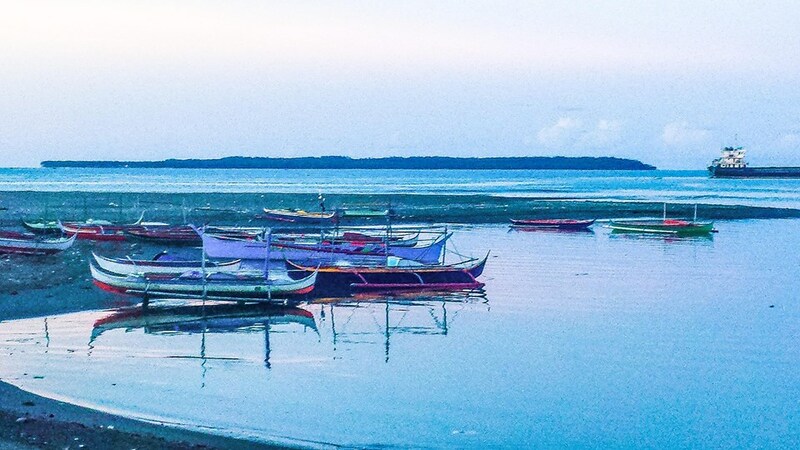 Guarded by two small islands to ward off tidal waves and storm surges, the town is often spared catastrophic damage, even in the fiercest storms, as in Typhoon Yolanda. 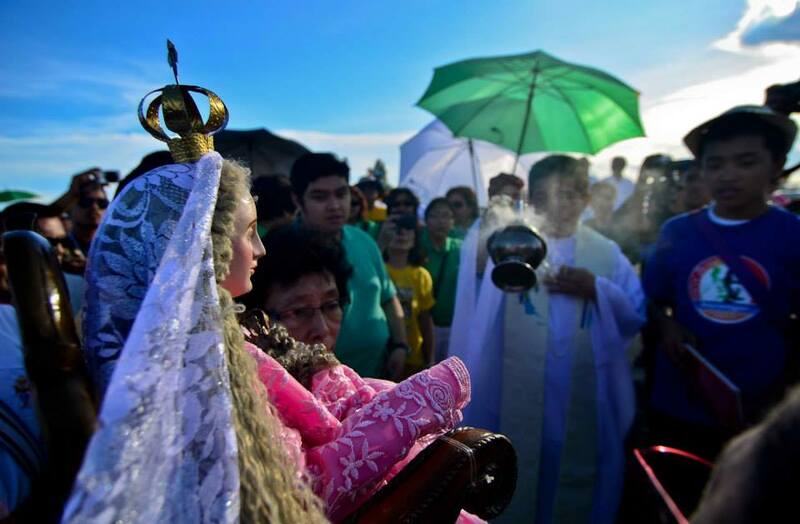 Borongan City, Eastern Samar is under the embrace of the Virgin Mary, folks there are wont to say, and this divine protection is the reason the town progressed to a city without much loss in character and religious fervor. This is where I also built my earliest relationships – family and friends – and now a reservoir of strength and support during these difficult times. My Hometown Connection has produced some of the largest contributions to the Bert Eljera Kidney Transplant Fund, although in this accounting, I have not included donations from family yet, even if they are from Borongan. Others were grouped somewhere else, such as the European group, who will be named in Part 8 of this series. We have received more than $1,600 in contributions from this group, with the largest donations coming from Ray Campomanes and Dr. Maria de Guzman. Most have donated an average of $100 each, from all parts of the globe, including Australia, Canada, Hawaii, Chicago, New York and California. Among the donors were Arnaldo and Edith Raagas, Harriet Voloso, Hermie and Mayette Solidon, Gia Baldo, Lorna Limbauan- Molina, Mercia Caspe Kees, Rev. Fr. Ven Amidar, and Muriel Baquilod Hill. Also contributing to the Fund were Linda Arago Ott, Pepit and Carmelita Puno, Becky Limbauan, Milagros Clark, Velasco Climaco Dominador, and Marion Molina. Other donors were Evelyn Raagas, Mila Caspe, Maggie Bonife, and Lynlyn Pinarok, who coursed her contribution through Madi Irma Baquilod. Some had steadfastly wanted to remain anonymous. These friendships were mostly rekindled and strengthened online with pages on Facebook and Word.Press blogs. I have created the FB pages, Borongan Historical & Cultural Society, with the projects affiliated with it, such as the Borongan Fiesta Photo contests in the last couple years, and the Philippine Red Cross Eastern Samar chapter. I also created the NatureWatch of Eastern Samar, Tindog Sinirangan Samar, FUNtastic Borongan! and the Las Vegas Orient Express. Christie created the Harampang 2014 Han Mga Young Seniors from Borongan City In Germany, which also became an online forum to exchange news and recipe ideas and keep the bond strong. Of course, there had been some disappointments. People we had expected to help did not, and may even had dissuaded others from helping. Some pledged assistance but have not come through. Still, we’re eternal optimists and when the time is right, they will be there to assist us. After all, the key is the result, not so much as how we got there – for as long as we did it in the way Christ would have done it.